This month, Chinatown London hosted a special guided food trail for the first time ever as part of the London Restaurant Festival 2014. Six different restaurants in the area were selected especially for the tour route, allowing visitors to sample a wide range of delicious Asian cuisines in the space of an afternoon. The restaurants that took place were C&R Cafe Restaurant, Rasa Sayang, Maotai Kitchen, Baiwei, Plum Valley and Far East Cafe. Yesterday was a good day. Why? Because I got to try 6 Chinatown restaurants. Greedy, I know. I was on a tour of Chinatown, the newest addition to the London Restaurant Festival, now in its sixth year. The last time I went to Chinatown was around 8 years ago when I was a student. I was lured in by one of the cheap buffets and after rolling out, belly bloated and gasping for any form of liquid I could get my hands on, I vowed not to visit Chinatown for dinner again. I don’t think I’m alone with this – many people I know have had a similar experience and also never returned. It was only recently that I decided to give it another go – this time on the London Restaurant Festival Chinatown Tour. I met my friend Jo at midday outside Plum Valley, which is where we started our journey. The tour provided us with a range of food, from Cantonese sweet and sour pork at Plum Valley, to authentic regional cuisine from Guizhou, south-west China, at Maotai kitchen. The tour was not for the faint hearted, or those with a small stomach. Each restaurant provided us with a main dish, except for Rasa Sayang, where we enjoyed a full on platter of delectable Malaysian and Sinagaporean food. 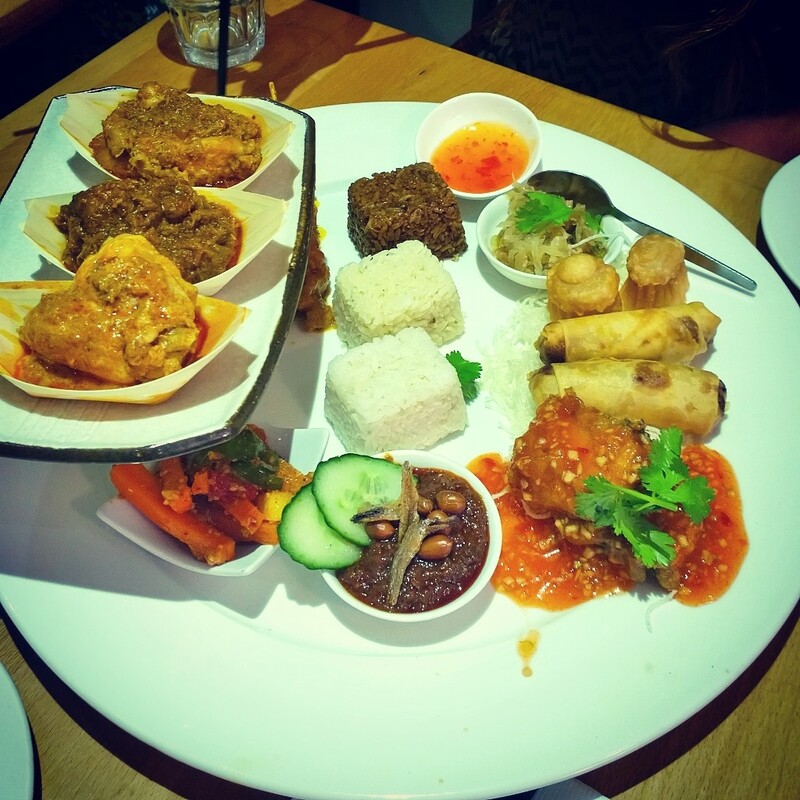 Rasa Sayang was my favourite – I thoroughly enjoyed the fried silken tofu and the different rices that we were served. I just wished that we had have made that our first stop, rather than our fourth! I also thoroughly enjoyed the Chinese buns we were served for dessert at Far East Cafe and will be heading back there to try the savoury options. We managed all of the restaurants in five hours and literally rolled out of Chinatown onto Shaftesbury Avenue. The idea behind the tour was to change perceptions about the quality of food available in Chinatown, and although I enjoyed all of the dishes that I ate across the day, I would only return to four of the six. Sadly, I don’t think that Plum Vallet or C&R Cafe showed the best of their menu – possibly a mistake on their part. Rasa Sayang, however, excelled with the tasting menu and it’s a meal I won’t be forgetting in a hurry.